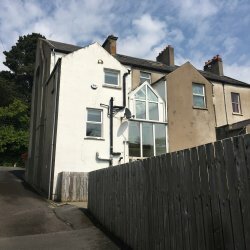 Are you Irish / Northern Irish currently living abroad & thinking about moving back home sometime in the future? 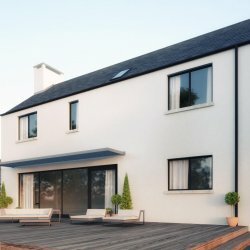 Wouldn’t it be nice to return home to Ireland knowing that all approvals were in place ready for you to begin building your own home? 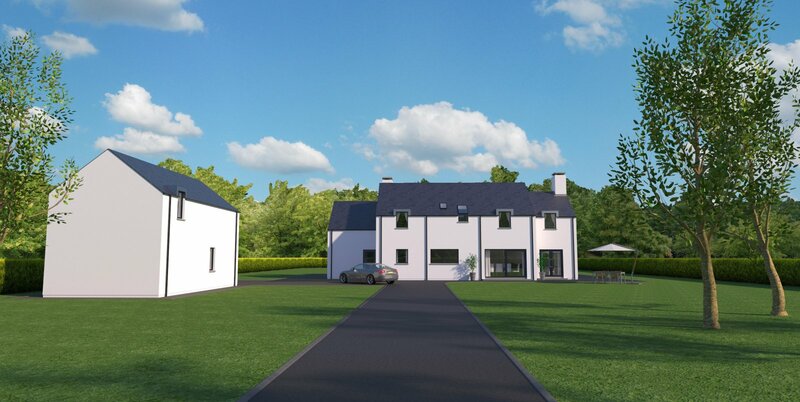 Even better, how would you like to come home back to Ireland knowing your dream home has already been built and is waiting for you to move straight in. 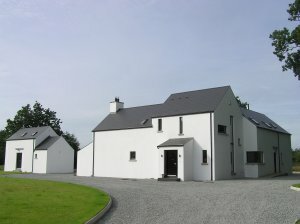 HomeTurf Ireland can do everything for you. 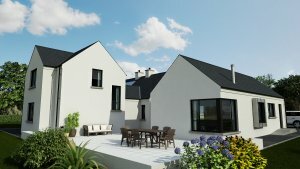 HomeTurf Ireland is a service provided by David Maxwell Architects (DMA) that has been established to enable Irish / Northern Irish expats to realise their vision of building a home in Ireland. 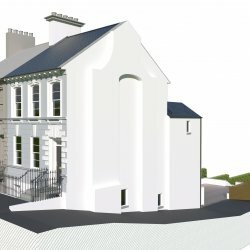 DMA is an architectural practice based in Northern Ireland with offices in Belfast and in Newry, close to the border with the Republic of Ireland. 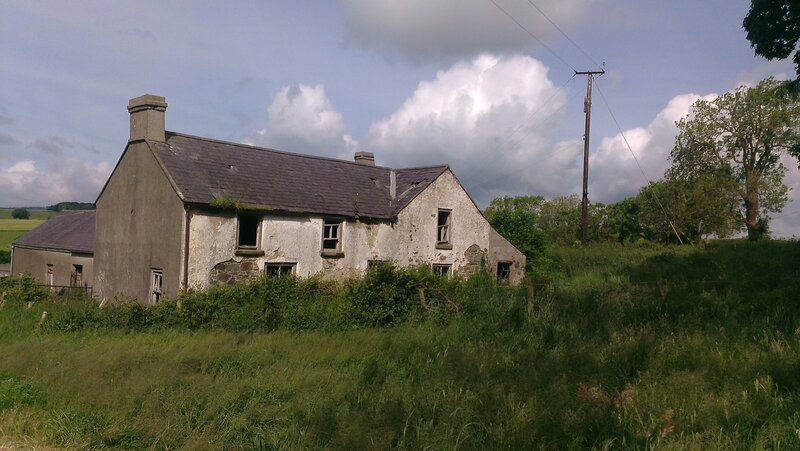 We understand that many Irish / Northern Irish expats wish to return and set up roots again in their homeland. 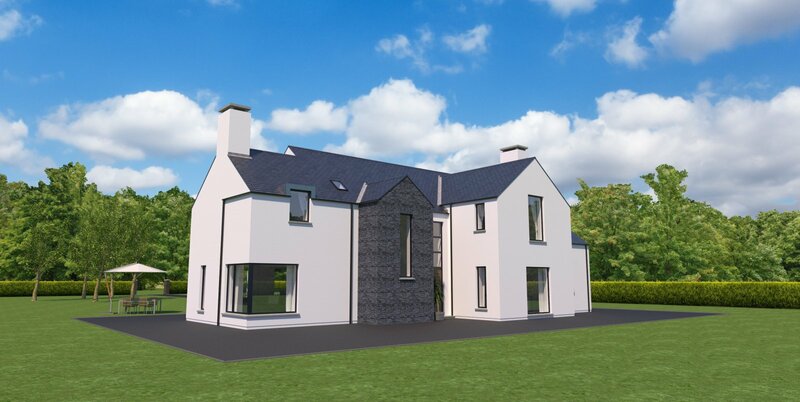 The practice has extensive experience in working throughout the island of Ireland, obtaining successful planning approvals enabling scores of individuals and families to build their own bespoke dream homes. 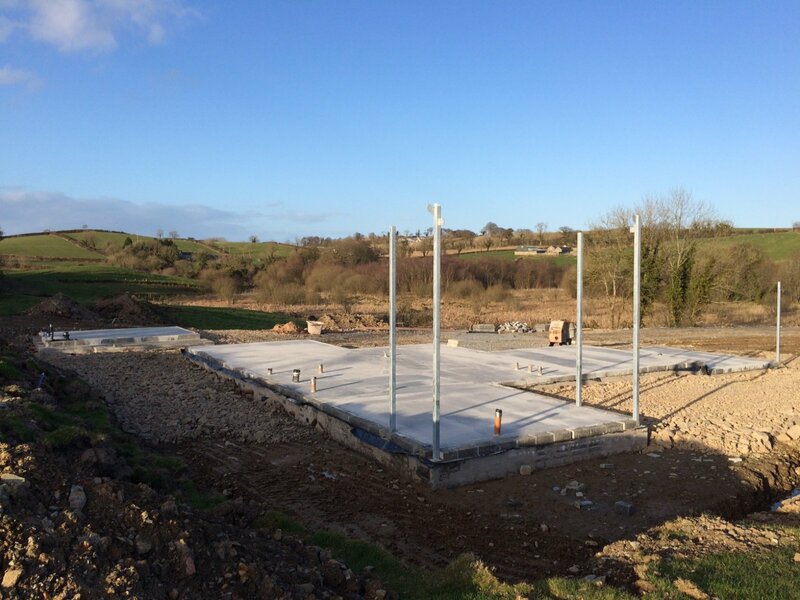 The service we offer aims to eliminate the headache and hassle for those who want to return to Ireland and build a new home, but don't know where to start. 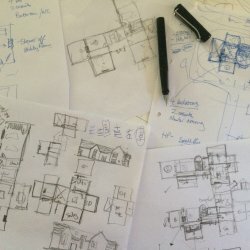 The good news is you don’t need to - we do all the work! In many cases, it may be necessary to do some conveyancing to transfer lands into different ownerships. DMA can help with all of this. 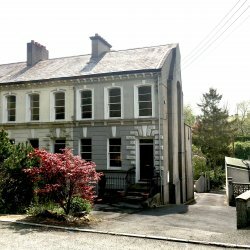 How does HomeTurf Ireland work in practice? Contact is usually made initially via email and subsequently either by phone, Facetime or Skype thereafter (at times convenient with you). DMA can then get an idea of what you have in mind, offer some advice and then you can decide how you wish to proceed. 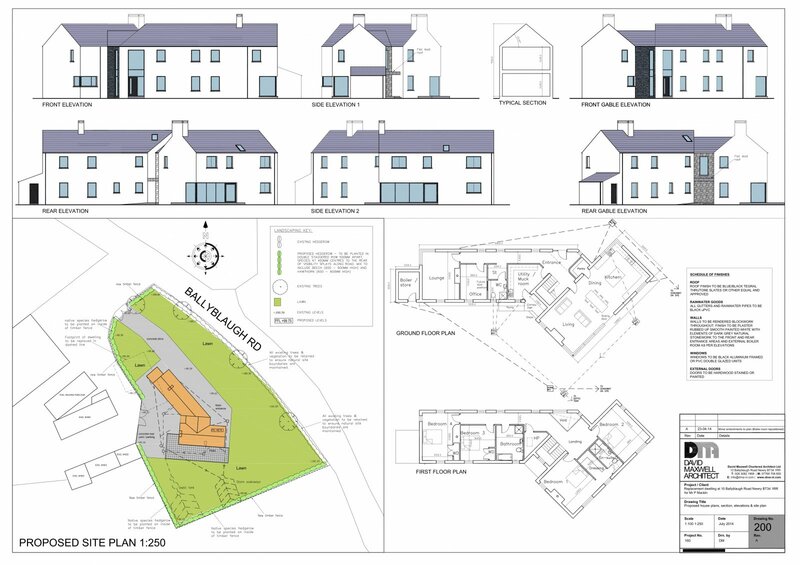 Whether you have land available to you or if you are looking for a site, development potential will need to be assessed. 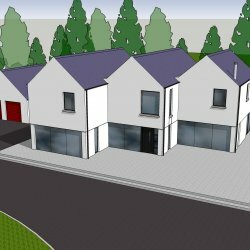 DMA can visit any site and carry out initial feasibility studies and can liaise with the local councils to establish planning potential. Feasibility can be determined very quickly in most cases. If your project is feasible, DMA can help to determine your requirements. 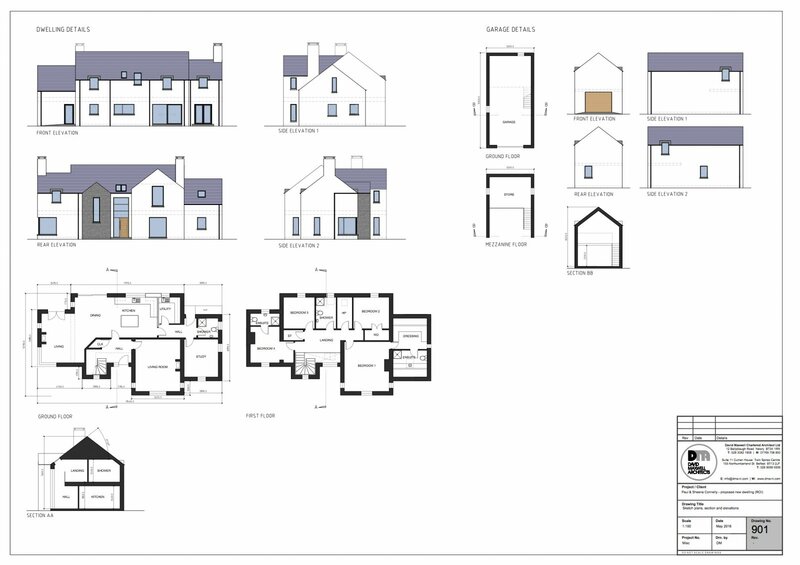 Initial concept designs will be refined into detailed designs and issued regularly in PDF format. 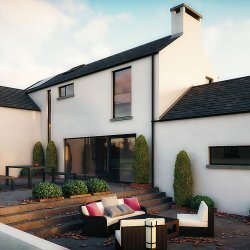 We will also build 3D interactive models to enable you to experience the house virtually – both internally and externally. 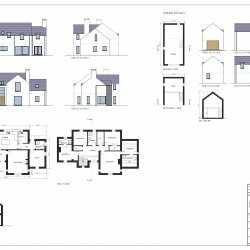 Subsequent to detailed designs being agreed, a planning application is made by DMA so that the designs can be formally agreed. 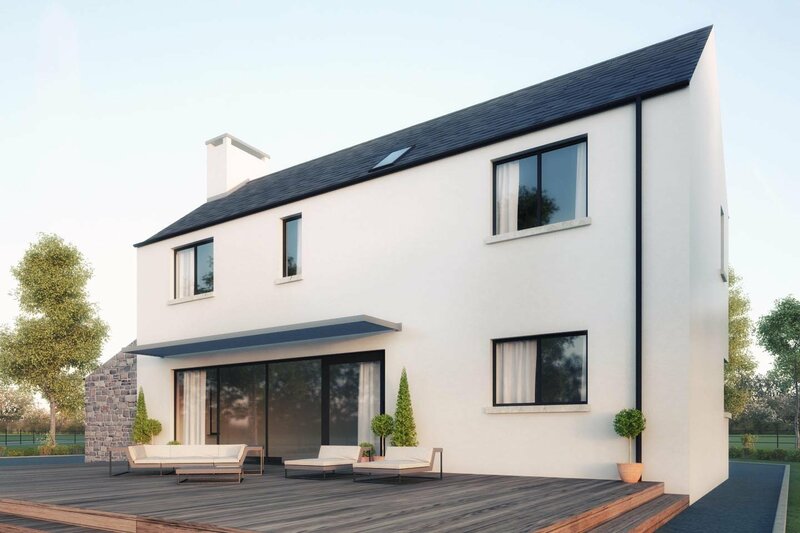 On granting of planning approval in Northern Ireland drawings will be submitted by DMA to ensure your home will be constructed to meet codes & regulations. Note that in the Republic of Ireland requirements are different. 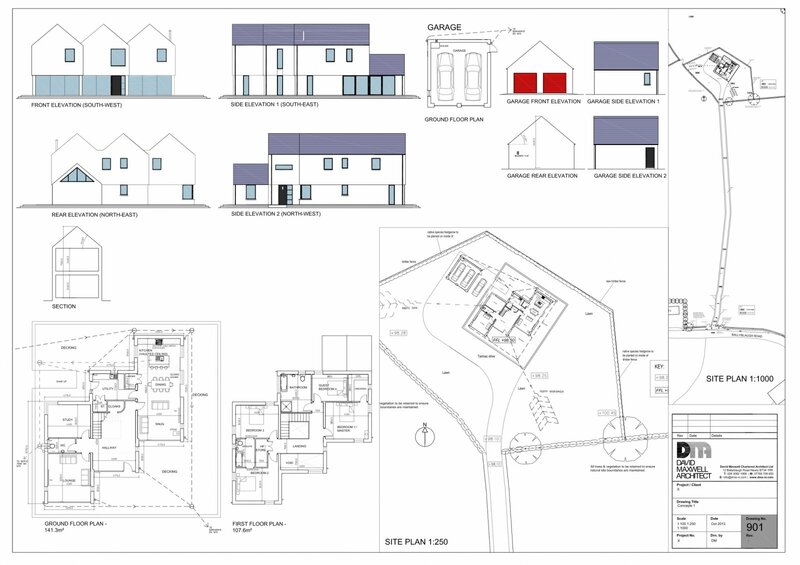 Subsequent to detailed house designs being agreed, a planning application is made by DMA so that the house designs can be formally agreed by the local council. 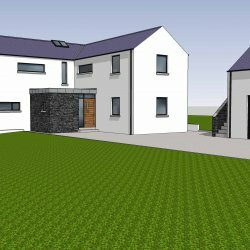 On granting of planning approval in Northern Ireland, working drawings will be submitted by DMA to the local council Building Control department to ensure your home will be constructed to meet all current codes and regulations. 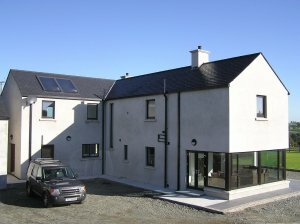 Note that in the Republic of Ireland, Building Control approval is not required for individual dwellings, but an architect must give a Certificate of Compliance that the new build meets all necessary regulations. This involves DMA issuing drawings to contractors to obtain cost estimates. Once satisfied with a cost, a successful contractor will be formally engaged. This can take 3-4 weeks. 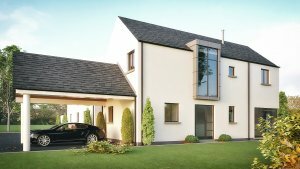 In some cases, it is not necessary to tender as the client may have a contractor or family member in mind to carry out the work whilst in other cases the client may want to self-build. 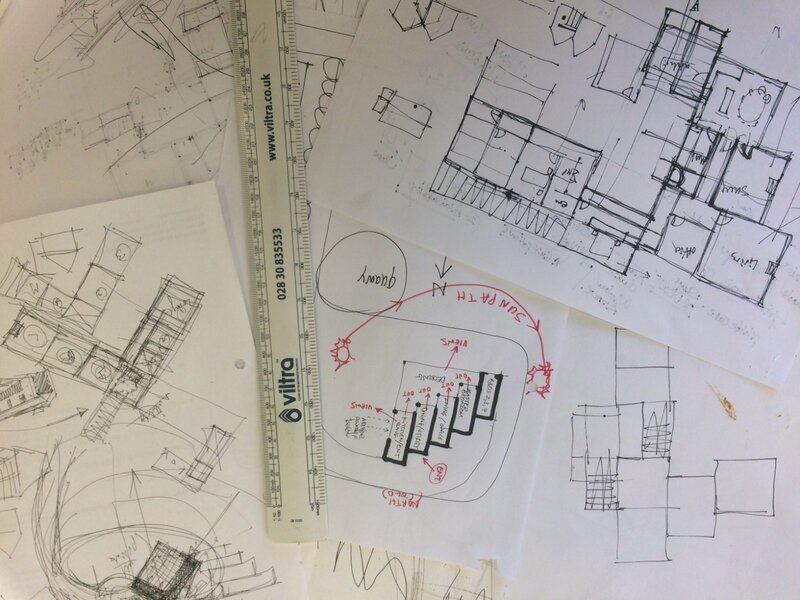 This phase involves DMA issuing the working drawings to contractors to obtain building cost estimates. Once satisfied with a returned cost, a successful contractor will be formally engaged. This period usually takes 3 - 4 weeks. 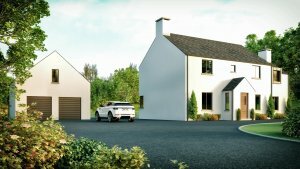 In some cases, it is not necessary to tender the project as the client may have a specific contractor or family member in mind to carry out the building work whilst in other cases the client may want to self-build their home. 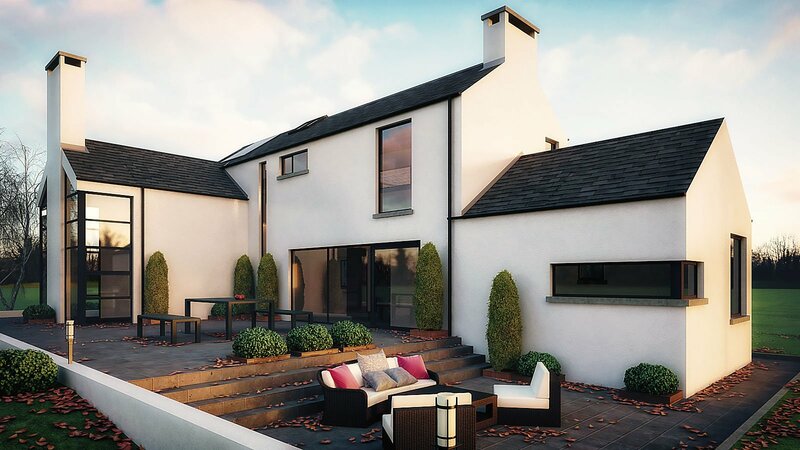 Once a contractor is engaged DMA can make inspections on site to ensure that your home is being built competently and in accordance with all the approved drawings. 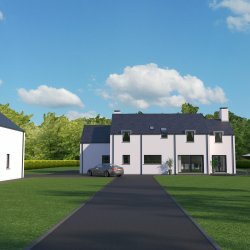 Below you'll find case studies of how the DMA HomeTurf Ireland service has already helped people build a new home back in Ireland / Northern Ireland. Kathryn initially contacted DMA by email to explore the potential of building a new family home in Newry on farm land owned by Kathryn’s father. 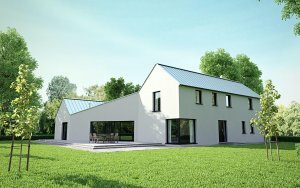 DMA carried out an initial appraisal and determined immediately that a new house on a farm would be approved under current planning legislation. 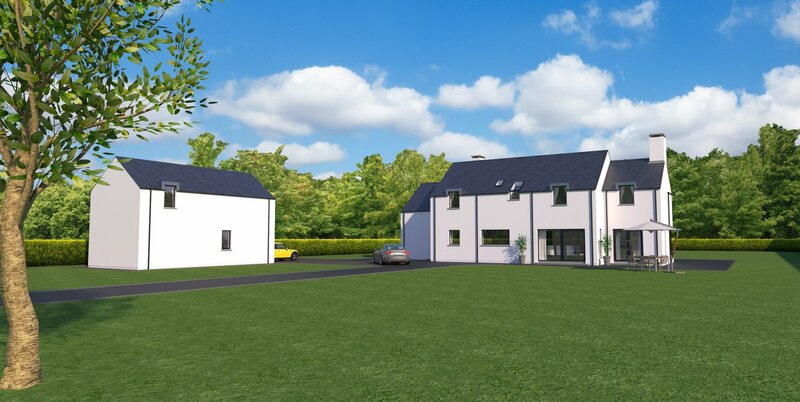 Via ongoing e-mail and Facetime discussions with Kathryn and Gerrard, DMA determined the type and style of house required. 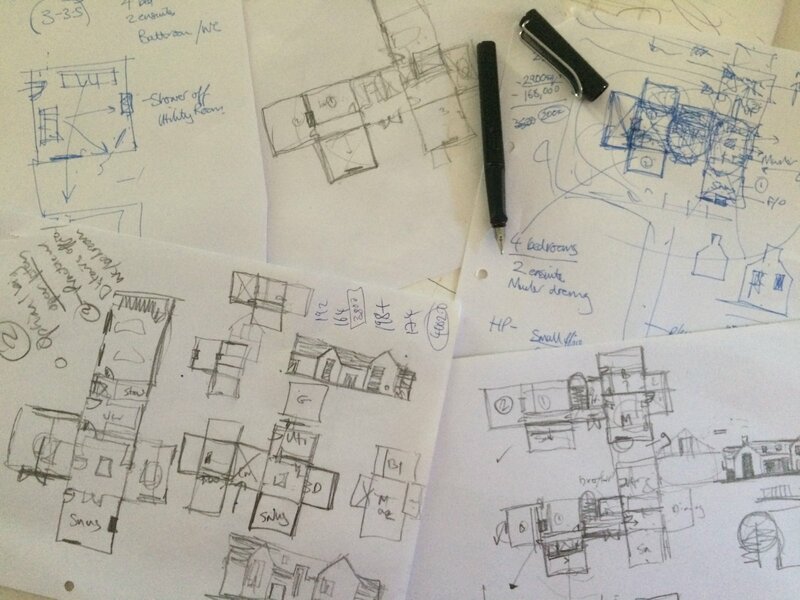 Concepts developed into sketch plans which were refined into detailed designs. 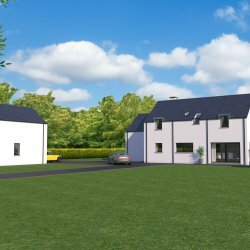 PDFs of the design progression were regularly issued as was a fully interactive digital model, which allowed Kathryn and Gerrard to experience their proposed new home in 3D. 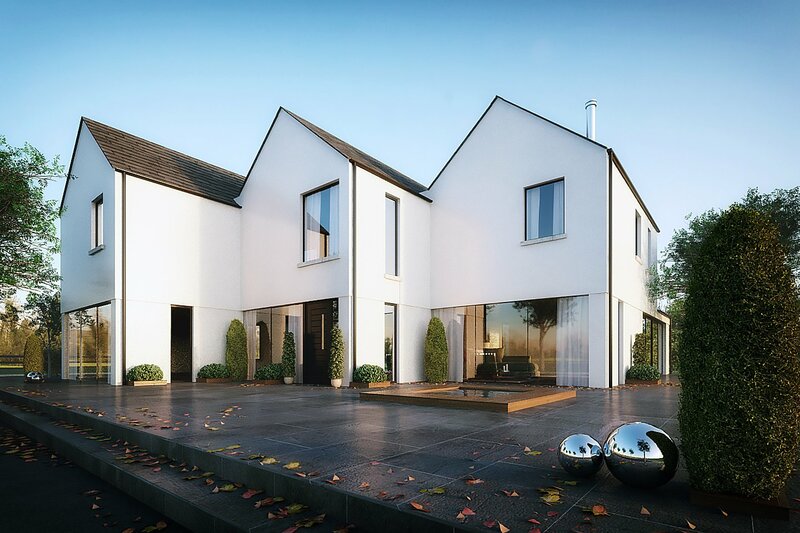 Subsequent to approval of the detailed design by the client, DMA processed the necessary planning and Building Control applications and obtained all statutory consents necessary to allow them to begin building on-site. 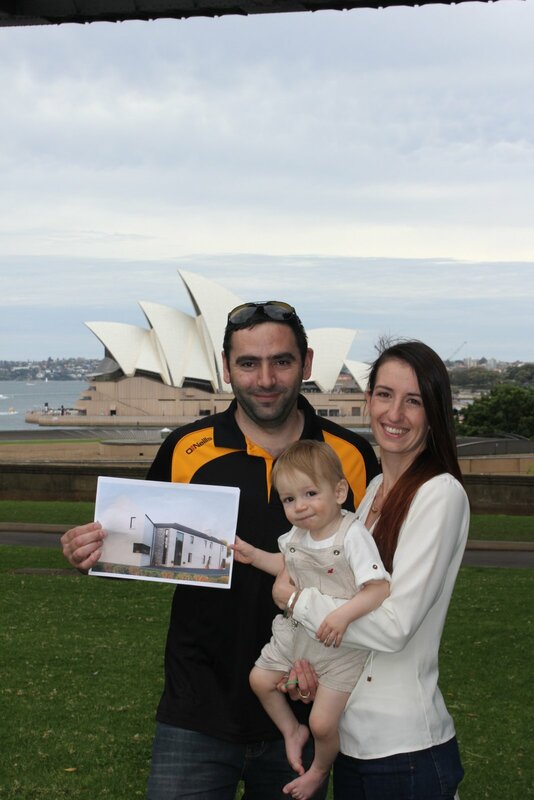 DMA also assisted the Kathryn and Gerrard with the process of conveyancing and transfer of lands. 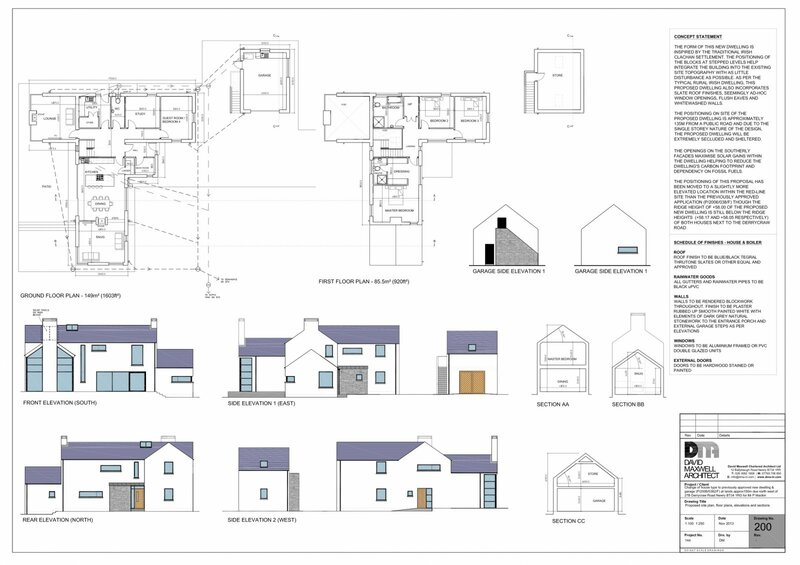 DMA issued the working drawings of the proposed house to competent contractors for their building cost estimates. 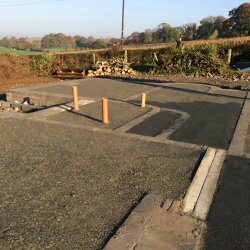 A suitable contractor was subsequently awarded the contract and works began in earnest on-site late 2015. DMA are currently inspecting the ongoing construction works and are liaising with the contractor and Building Control throughout the process. 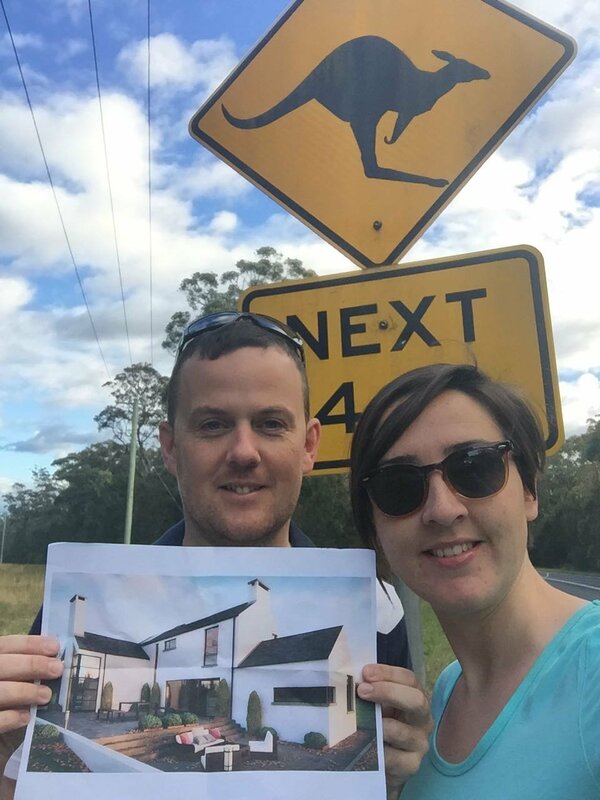 "Despite the constraints of being on the other side of the world, David has made the process of designing our home seamless. He has taken our 'wish list' on board and produced a great design which works perfectly for our needs. We couldn't be happier with the service provided and the end result - thanks so much David! 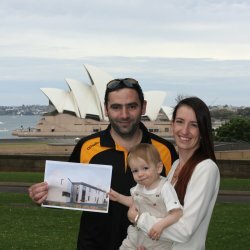 Looking forward to completing the build and moving back home." 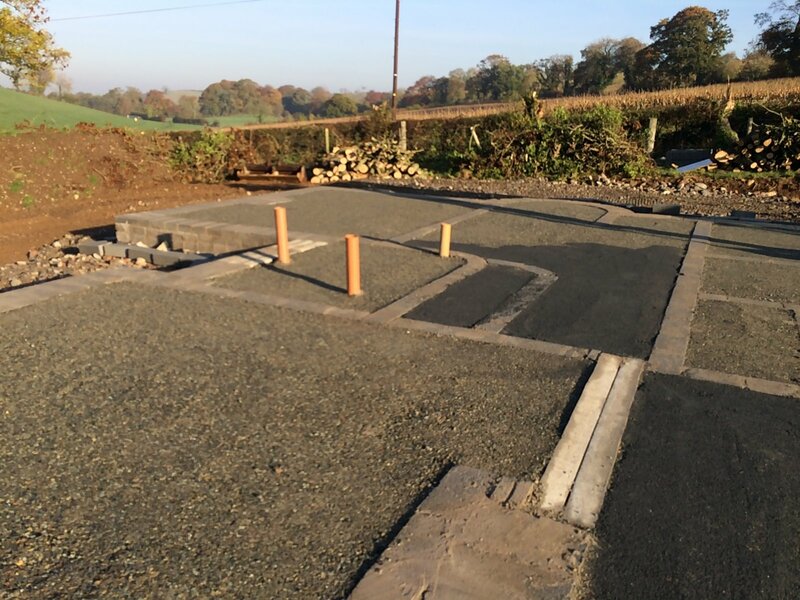 Helen initially contacted DMA by telephone to obtain some advice on a site she had in mind that had outline planning approval granted on it previously. 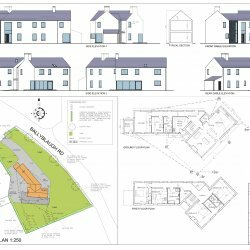 DMA liaised with the local planning authority to determine if the original approval had expired and to ensure that the planning service would accept a new application for a change of house type to what was originally approved. 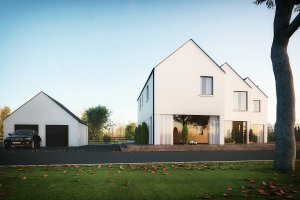 DMA assisted with the process of conveyancing and transferring ownership of the site into their name. 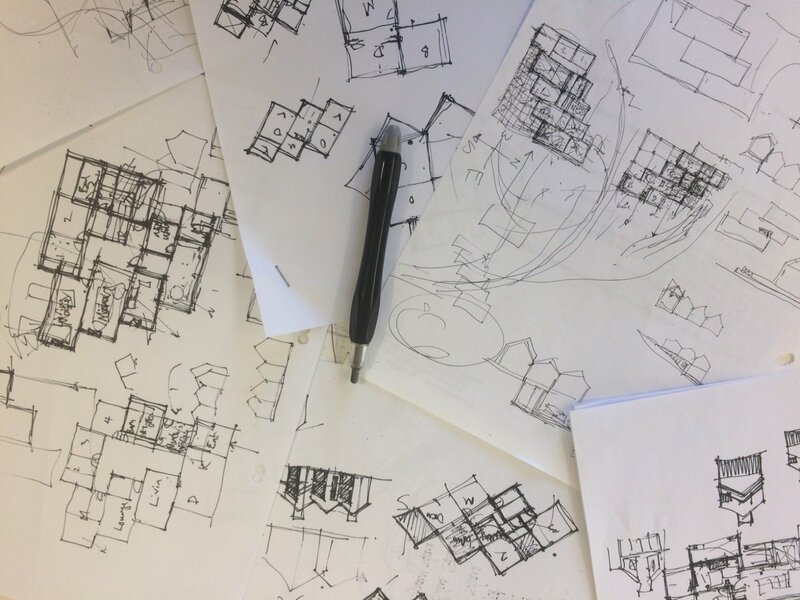 DMA began the design collaboration with Helen and Damien, issuing drawings and 3D models, whilst always ensuring that any new design would meet the conditions and criteria from the original approval. 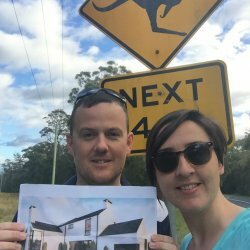 DMA from the outset, assisted Helen & Damien with the process of conveyancing and transferring ownership of the site into their name. 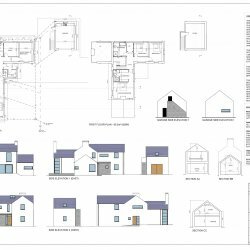 Via email, DMA began the design collaboration with Helen and Damien, issuing PDF drawings and interactive 3D models, whilst always ensuring that any new design would meet the planning conditions and criteria from the original approval. 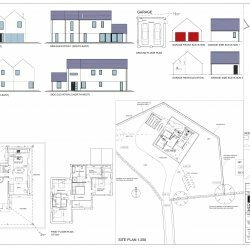 Following approval of the detailed design by the client, DMA processed the necessary planning and Building Control applications and gained all the necessary statutory consents. 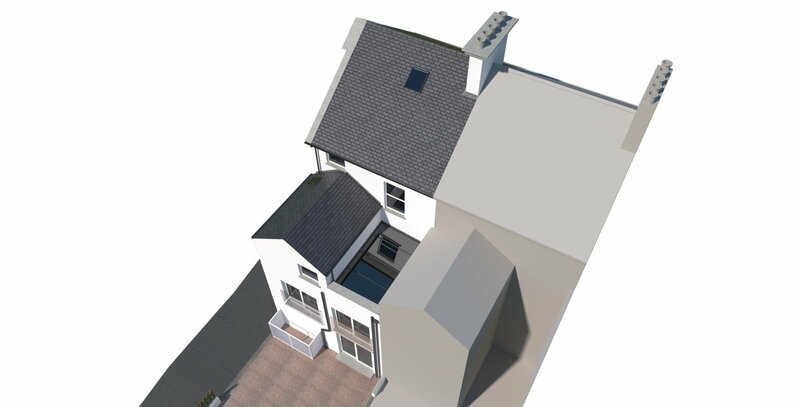 DMA issued the working drawings of the proposed house to competent contractors who all returned cost estimates. 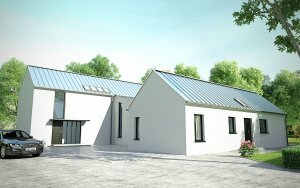 A suitable contractor was then awarded the contract and works began in on site mid 2016. "Their friendly, dedicated and professional manner made DMA a genuine pleasure to work with. 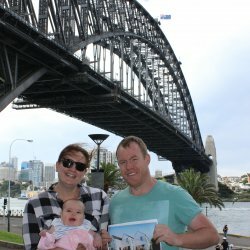 Their speedy responses coupled with imagination and ability to put our conversations and ideas to paper made the whole process a lot easier than we ever imagined from the other side of the world. 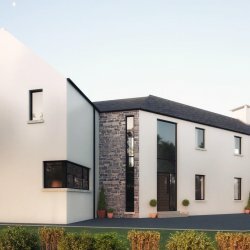 The special and unique home they have created back in Ireland has really added that extra excitement in beginning the next chapter." 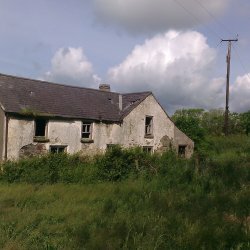 Paul contacted DMA by email to obtain some advice on the site that he had in mind that was on farmland owned by his father. DMA carried an initial appraisal and met with Paul’s father on the site. 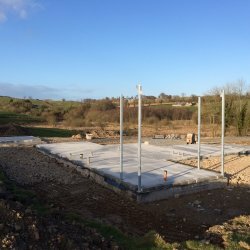 Following consultations with Monaghan County Council Planning Department, DMA ascertained that a new farm dwelling would be acceptable on the site as long as certain conditions were met. 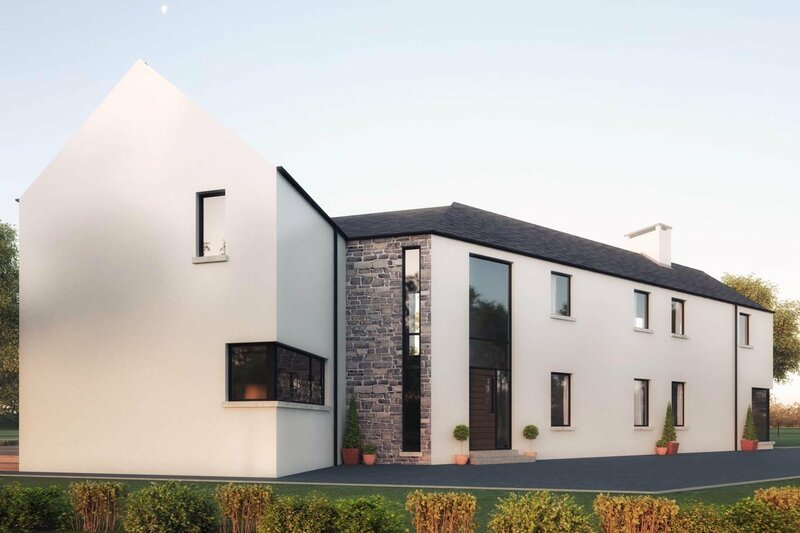 DMA went through a process with Paul & Sheena to determine their brief of requirements and then to begin designing their new home, ensuring that it met with all of the criteria set out by Monaghan County Council Planning Department. 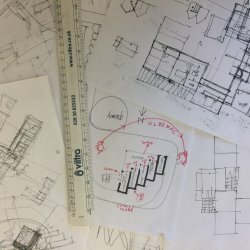 Over a period of several weeks, DMA refined the sketch plans and 3D models into a detailed design. 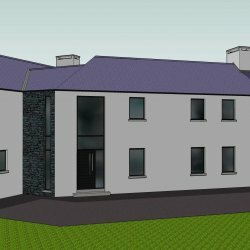 This was later submitted to the Planning Department and has now been fully approved. 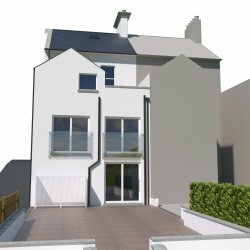 DMA are currently progressing this project and preparing working drawings and specifications with an anticipated on-site date of summer 2017. 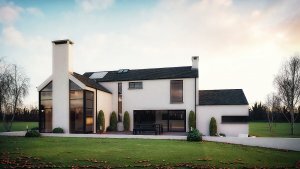 "David Maxwell Architects were recommended to us by a friend and we initially contacted them by email. 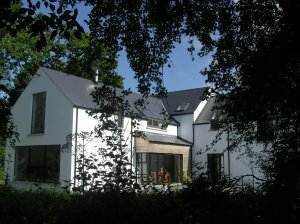 Their guidance and advice throughout the process of us designing our own home has been invaluable. 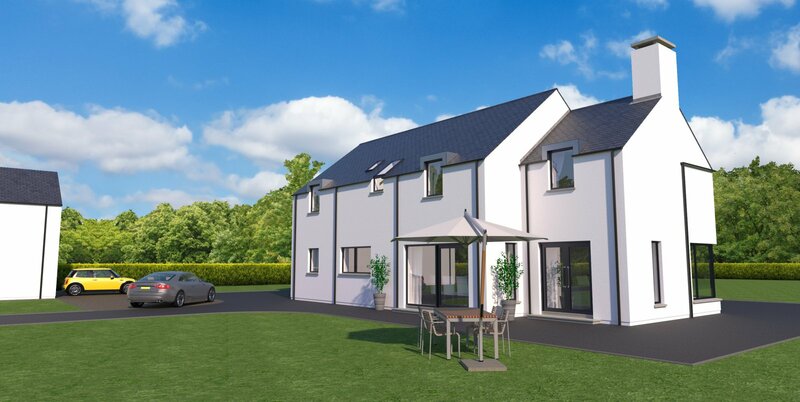 Being able to see our future home in 3D and even walk around it was very reassuring." Joseph contacted DMA by email to determine if a replacement dwelling on his father’s land back home would be permitted. 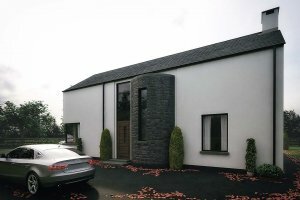 DMA carried out an initial site appraisal, met with Joseph’s father on the site and determined immediately that a replacement dwelling would be approved under current planning legislation. DMA liaised via email with Joseph and Katrina and developed their brief, provided concept models and produced detailed designs that were refined to meet their needs. 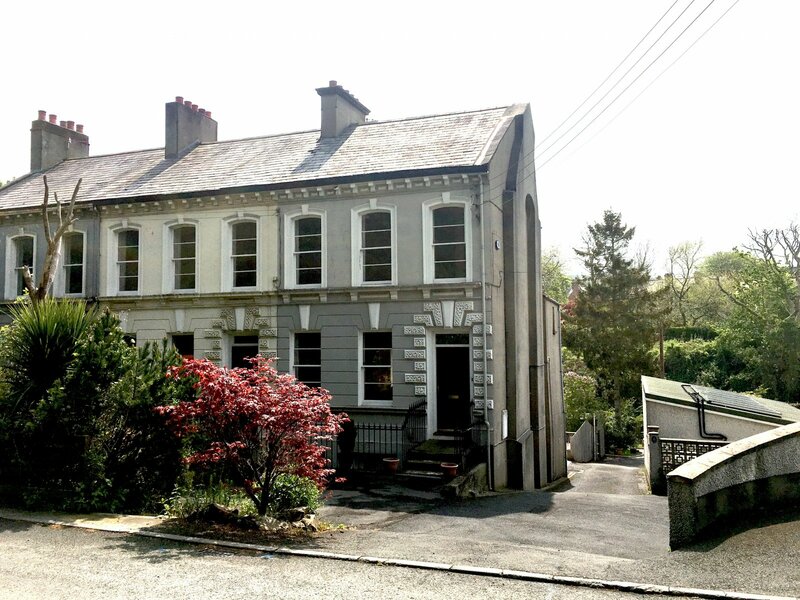 The replacement dwelling house now has full planning approval which is valid for 5 years, giving Joseph and Katrina piece of mind for the future should they decide to return to Ireland. 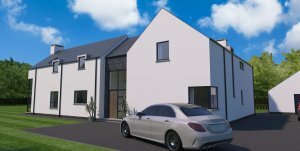 "We contacted David about the possibility of getting a replacement dwelling. 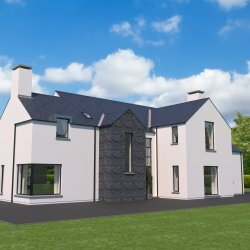 It was an easy process dealing with him via email and being able to see 3D plans of the final design from the other side of the world was amazing. 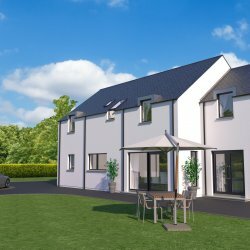 It's a relief now, knowing that we have everything approved and ready for when we decide to move home." 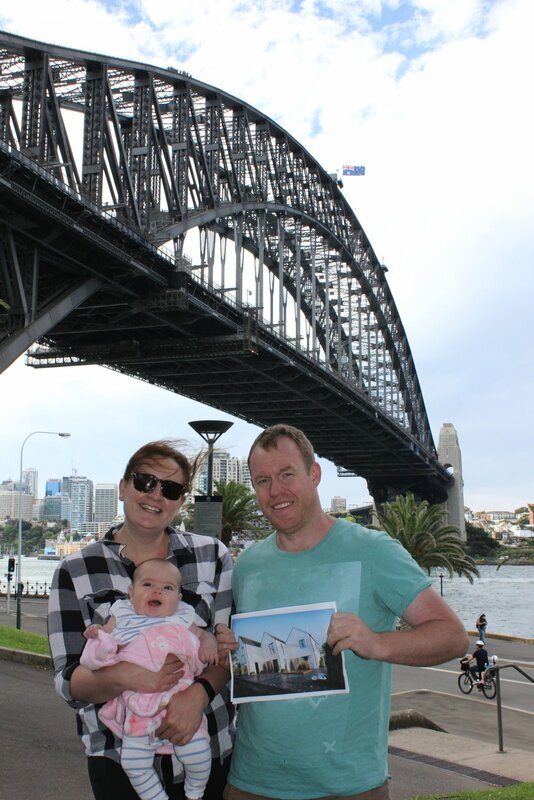 Enda and Rachel left Belfast in 2008 with their family to develop their expanding business in New York. 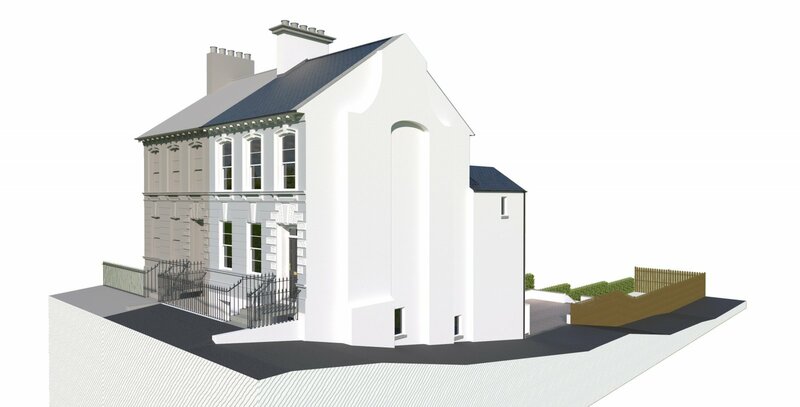 They rented out their existing home which was a large 3 storey listed building on the outskirts of Belfast. Enda contacted DMA early 2016. 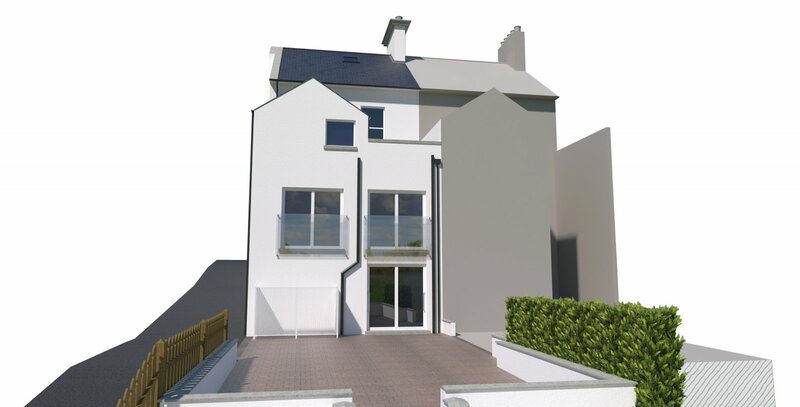 They are intending to return home late 2018 and require that the existing property be remodelled and extended to meet their current needs. Enda contacted DMA by Skype initially and had meetings in Belfast when Enda and Rachel returned on business. 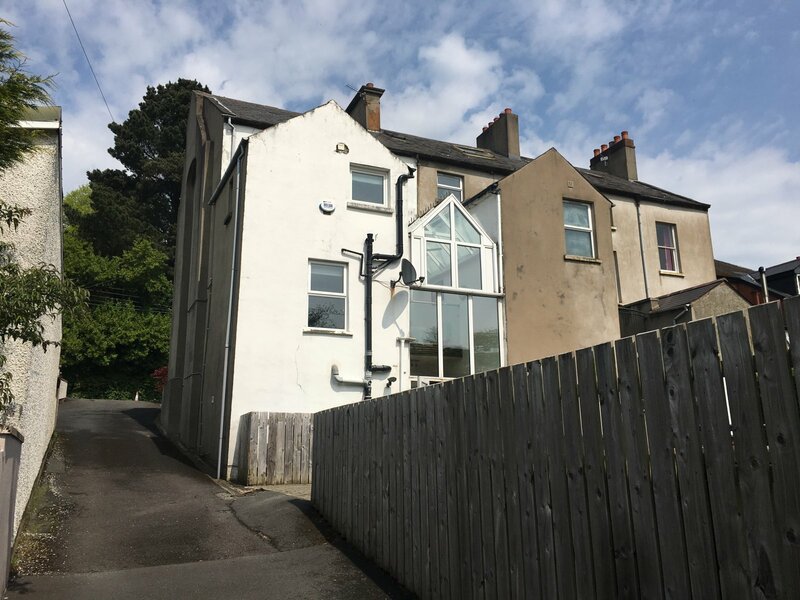 DMA carried an initial appraisal and survey of the property to determine the current condition and if any serious problematic areas had arisen that required attention. 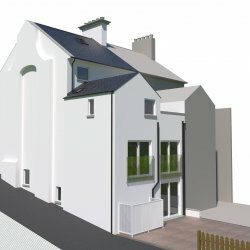 Given that the property was a Listed Building, DMA consulted with the local planning authority and the Historic Buildings department, at all times providing feedback to the client. 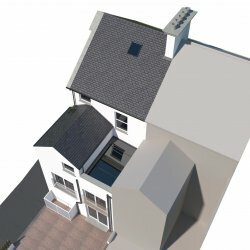 DMA prepared detailed designs that included a remodelling of the existing dwelling and the addition of a contemporary new extension to the rear of the property. Over a period of several weeks, DMA refined the sketch plans and 3D models into a detailed design. 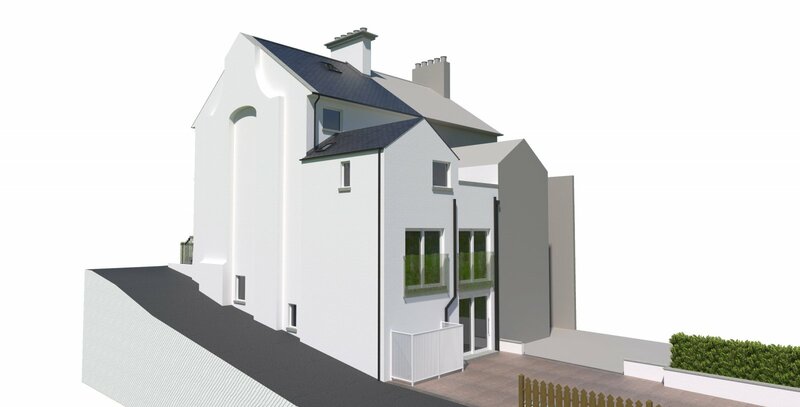 The scheme now has full planning approval and Listed Building Consent. 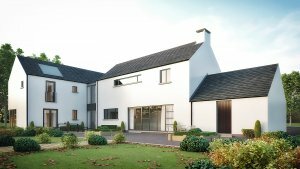 Working drawings are now in development and it is envisaged that works will begin on-site late 2017. 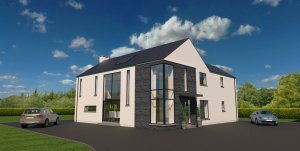 "David has been very diligent in regard to the remodelling of our Belfast house and keeps us informed of the progress, we look forward to working with him and his team as the project develops." 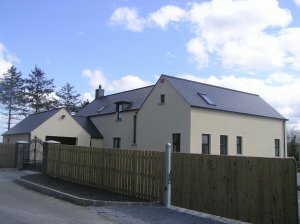 HomeTurf Ireland can help you all the way from inception to completion with building a new home back in Ireland. 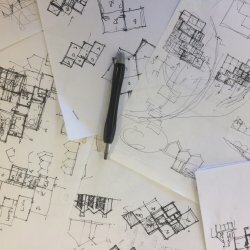 Through our many years of experience, David Maxwell Architects can assist you through all the steps required to make your aspirations a reality. If you have any queries or if you would like to discuss how our team can assist you to develop and realise your ideas, then fill in your details and we will get back to you promptly. 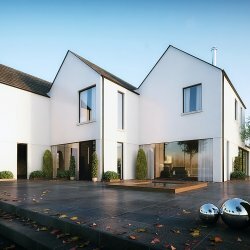 Visit the David Maxwell Architects website to see the many projects we have undertaken and the range of services we provide.